Lisa Loup is the Events Liaison with Food Fight Restaurant Group. 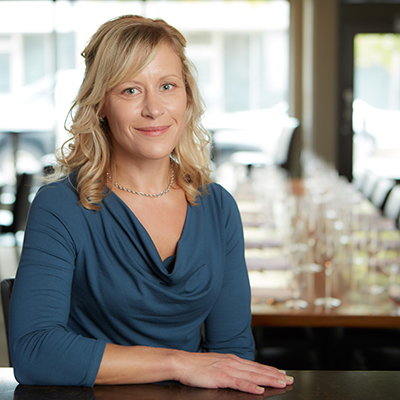 Lisa began her love of restaurant work during college when she worked for the Kimpton Group in Portland, OR. During her time there she worked with a staff that was very passionate about food and wine service. Lisa started with Food Fight as a host at Johnny Delmonico's and was later promoted to front of the house manager. She left to pursue event planning, and after gaining a few years in that field, she returned to take on the event manager position at Steenbock's on Orchard when they opened in 2010. In all, Lisa has worked in Food Fight restaurant for more than nine years and is glad to be a part of the Food Fight Family. "There are so many things that I love about working for Food Fight. For me personally, Food Fight has offered me the flexibility to manage my job and my family at the same time, and for that I am constantly grateful. I love that I have the support of such a huge team of people. Working for Food Fight means that I can keep growing in my position and skills without ever leaving the company. I love being a part of this big family of people with a passion for excellence. Lisa is a Certified Events Planner, but her original schooling is in elementary education. She says there are times when her education training is utilized in her current position. Lisa believes that providing great service and taking part in creating memorable experiences for staff and customers are the most important aspects of her role as the Food Fight Event Liaison.